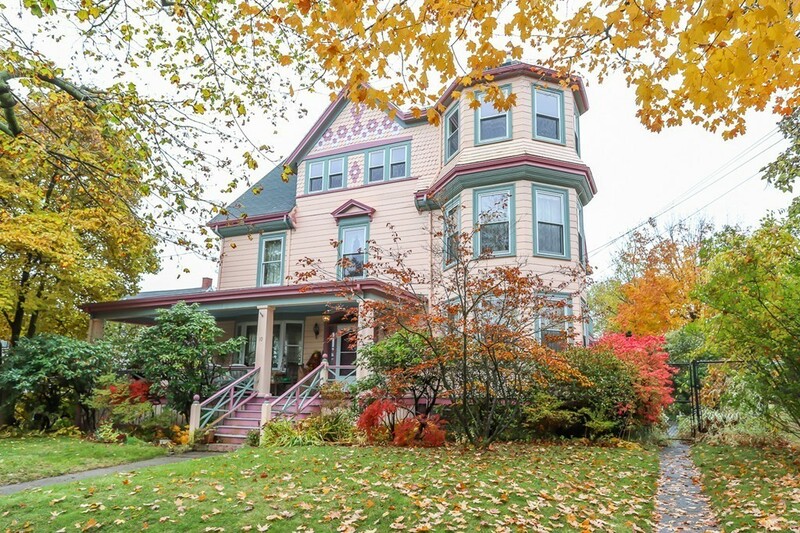 GRACIOUS TURN OF THE CENTURY DIAMOND DISTRICT 2 FAMILY VICTORIAN WITH SPECTACULAR OCEAN VIEWS !!! 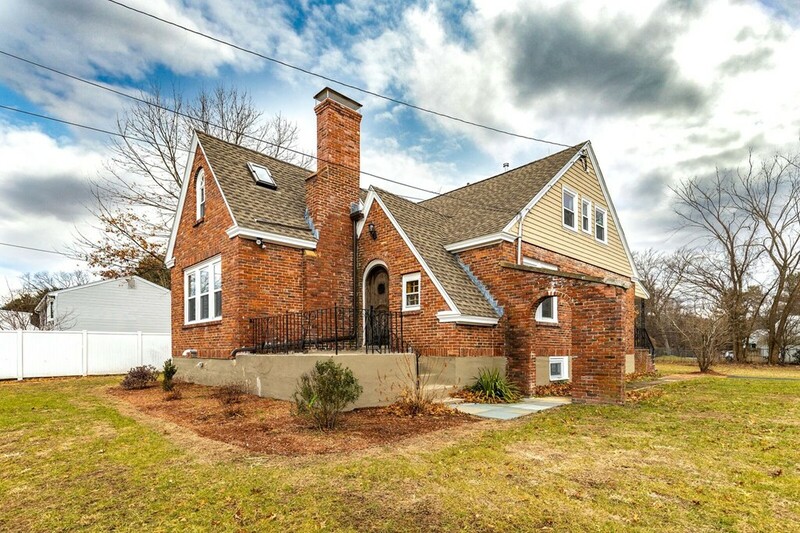 This home is full of architectural details & charm with high ceilings, crown molding & original HW floors. Period features include grand entry foyer, 3 fireplaces, generous formal dining & living rooms. First floor family room & sunroom with doors to the large deck. Big newer eat-in kitchen has a pantry with original cabinets and sink. Oversized master BR suite with PANORAMIC OCEAN VIEWS has two large closets and an updated bathroom. Three more bedrooms and another full bath on the 2nd floor. Second apartment with four more rooms, kitchen & a bath on the 3rd floor has OCEAN VIEWS from every window. House has a lot of closets and storage. All new custom windows. Three car garage has new roof and new doors. Beautiful yard. Enjoy your morning coffee on your decks overlooking the ocean. Conveniently located ! 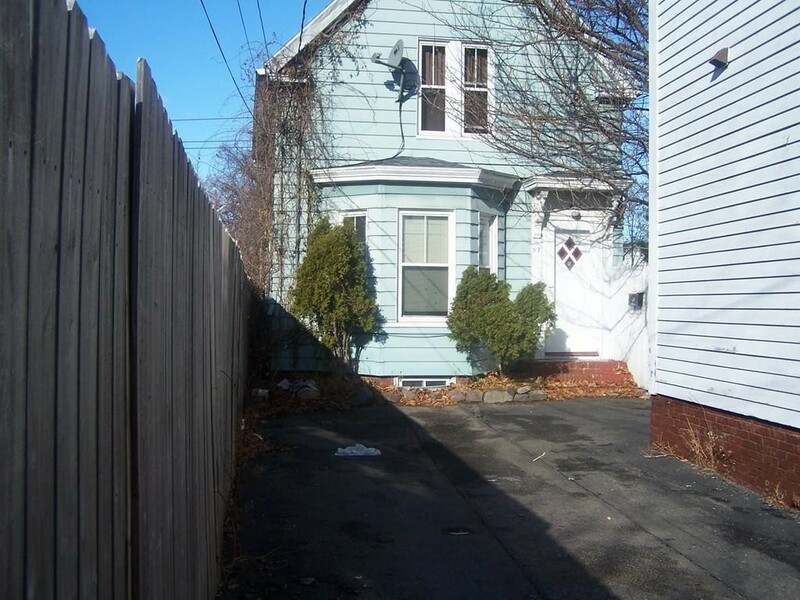 THIS HOUSE IS PRICE BELOW ASSESSED VALUE ! YOU'LL LOVE IT ! 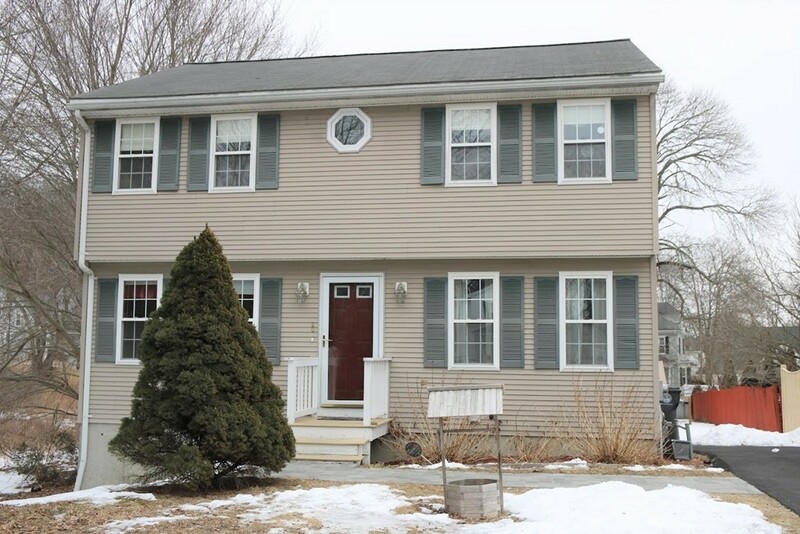 Move right into this well maintained single family home. Great price for this starter home or condo alternative. Inviting foyer with large living room and open floor plan great for entertaining. 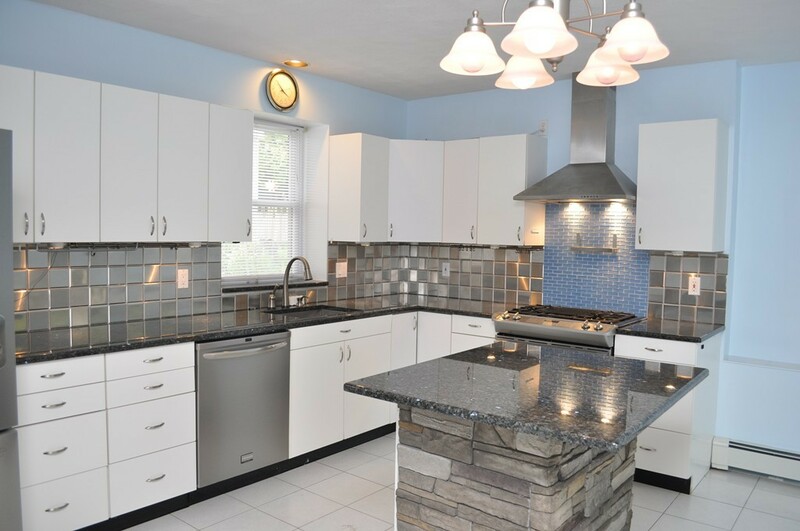 Large eat in kitchen that has been renovated with ceramic tile. Two nice sized bedrooms with hardwood floors. New roof installed in 2014. This property is set back off the road with tandem parking and a private fenced in yard. Convenient to shopping, parks, transportation, and major highways. A wonderful opportunity for first time home buyers. Don't let this home pass you by! Sought after quiet Peabody location. Offering 3 bedrooms, eat in kitchen, off street parking and a fenced in yard. Partially finished basement offers additional living space. Conveniently located to shopping, highways and transportation. 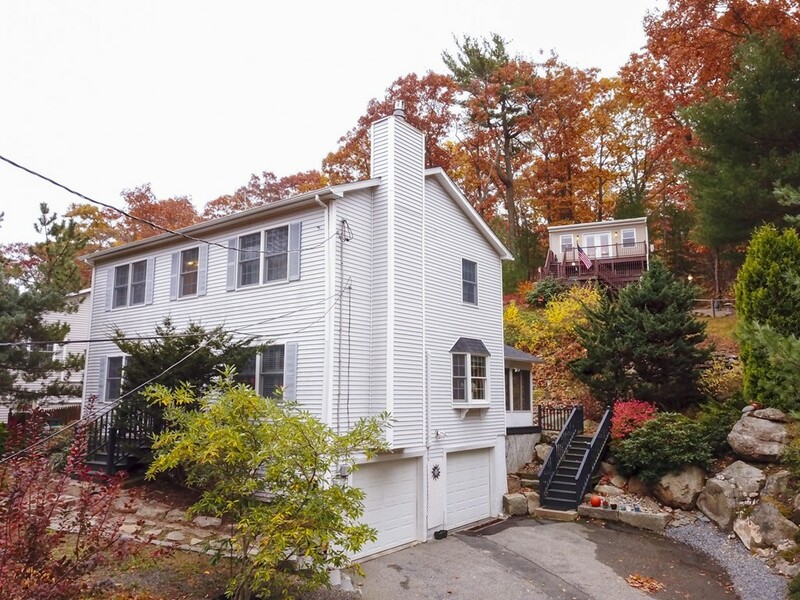 Stunning views of the Mill River from this one level bungalow. It has always been used as a one bedroom home, but could easily have two. This is not a drive by as it sits far below the street grade. Imagine the possibilities. A getaway from a stressful job, a place to put your feet up and relax. Do not park in the driveway of 452 Washington Street. Contact agent for appointment. Park on Washington Street to meet agent. 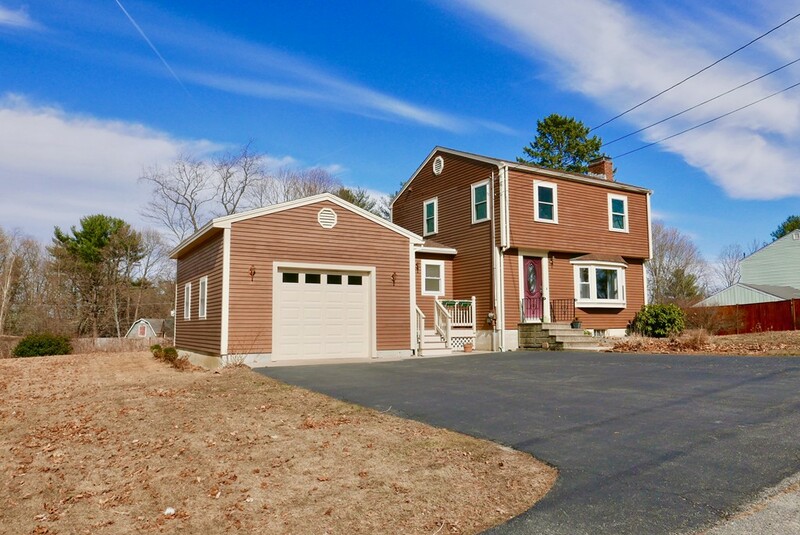 West Gloucester cottage with detached garage! This single-level home features an open concept with a wood-burning fireplace in the living room and wood floors in all rooms but the kitchen and bath. New 3-bedroom septic system, a new roof in 2009, new furnace and hot water tank in 2016. 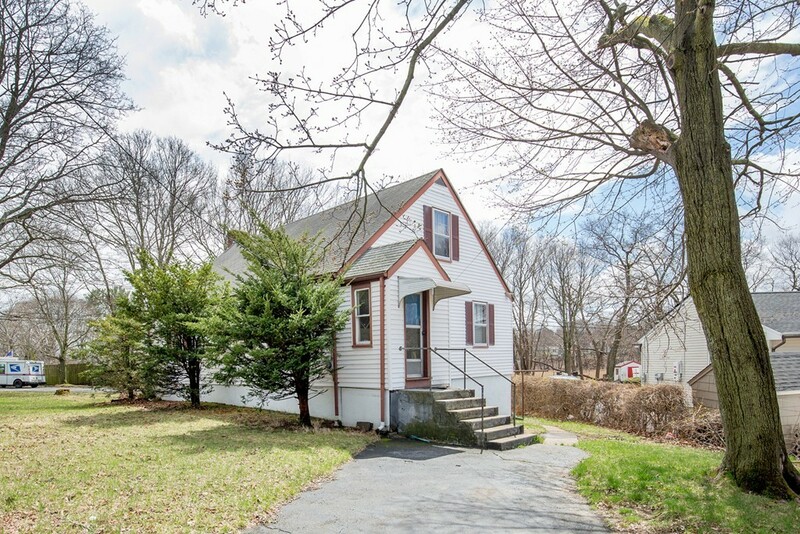 Charming Colonial located on large level lot, close to the Merrimack River and marinas, high on a hill in quiet neighborhood. Home features living room with fireplace, dining room, laundry area, half bath and breezeway/mudroom from one car garage into house or out to large deck and expansive back yard. Kitchen addition plus garage, deck and breezeway were added to the house in 2008. 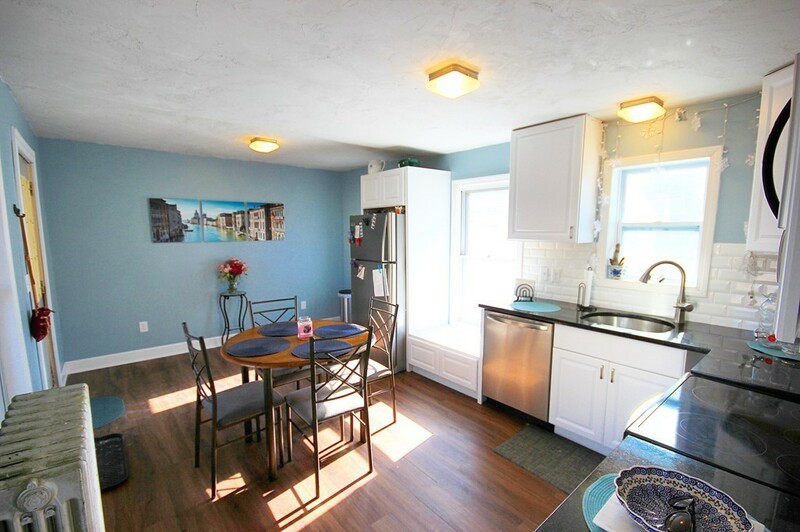 Large, sunny kitchen has cathedral, beamed ceiling, laminate floor with sliders to the deck, yard and gardens. Upstairs there are 3 bedrooms and full bath. Living room, dining room and all bedrooms have hardwood floors; windows are thermopane replacements; full, unfinished basement has bulkhead and interior access. Plenty of space and large yard for the new owners! 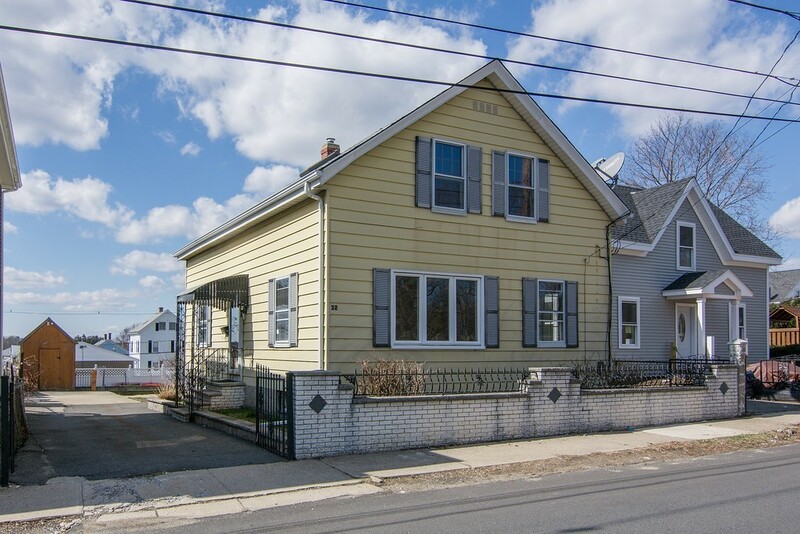 Great single family home situated on a quiet cul-de-sac which abuts conservation land. Located in desirable Riverside, this home offers three bedrooms, two full bathrooms, a formal dining room, eat-in kitchen, and a family room. Recent improvements include a home security system, stone paver walk way, hard wood floors, finished family room in basement with soundproofing, central air conditioning, and a new furnace with hot water on demand. Ample storage space in pull-down attic, walk out basement, and storage shed. You won't want to miss this one! 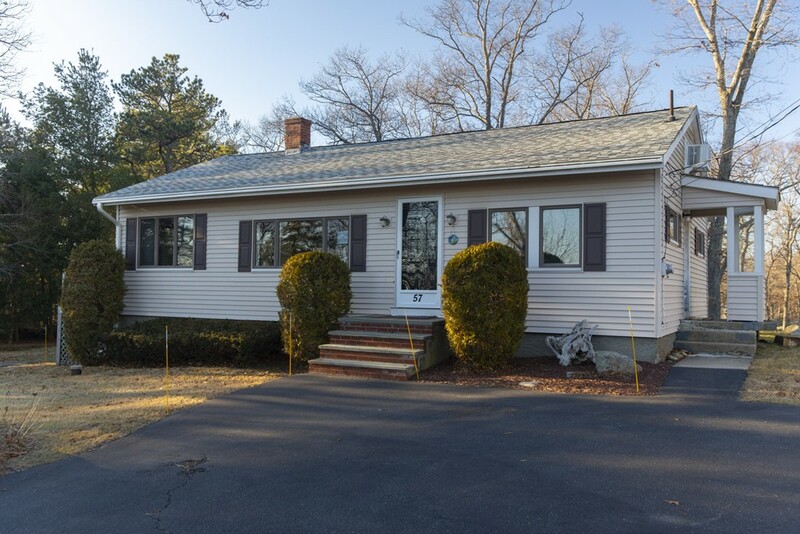 East Gloucester under $400,000!! 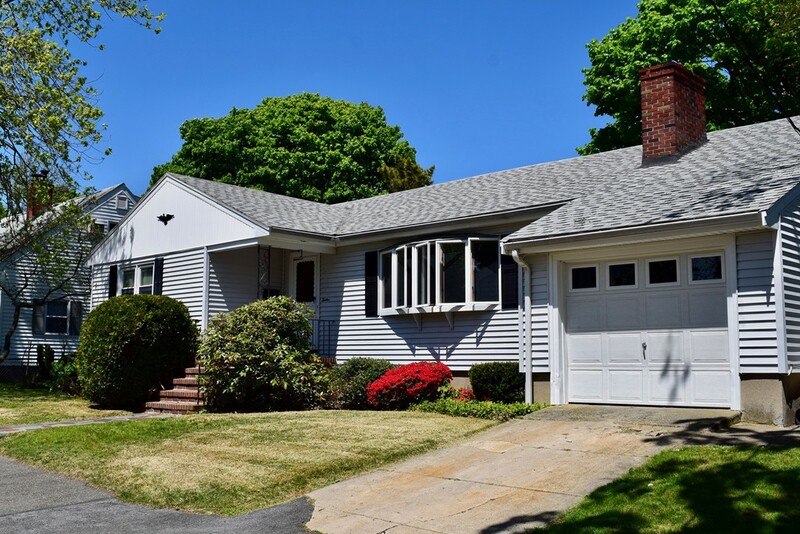 Rare opportunity to buy a home in wonderful East Gloucester location near elementary school, Rocky Neck, Swinson playground, and short drive to Niles and Good Harbor Beaches! 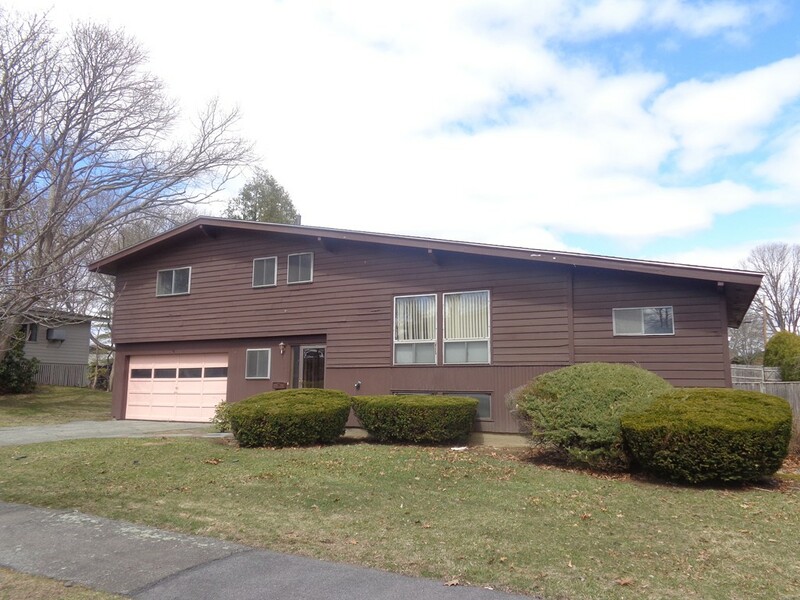 1984 Split entry offers 4 Rooms, 2 BR, and 1 full bath but with full unfinished basement space you could add another BR, familyroom, and full or half bath when you could afford to expand your living space. Exterior has been well maintained and has nicely landscaped yard and large deck along with 3 car paved parking! All appliances remain. Full bath offers vaulted ceiling and skylight. Perched high overlooking Baileys Hill with it's wonderful walking paths along the Atlantic Ocean, this sweet house has been lovingly cared for. 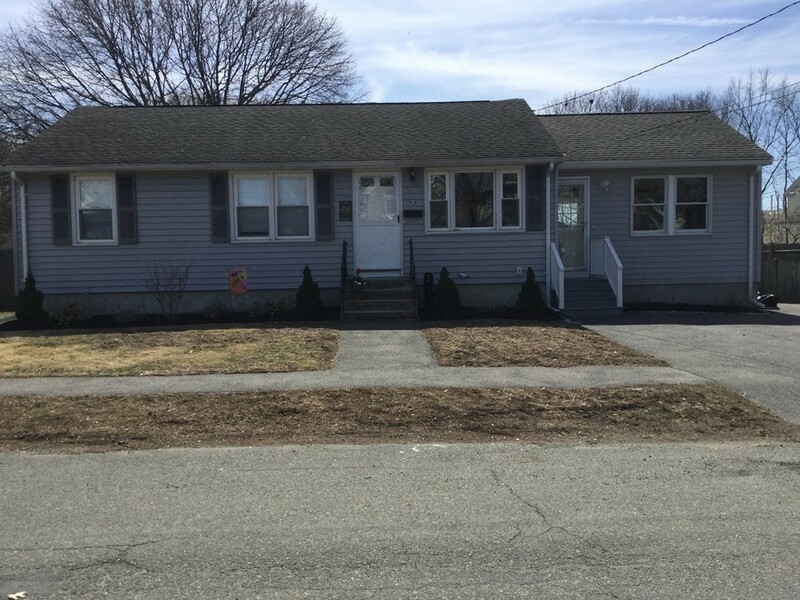 All on one floor perfect for the retiree or someone just starting out, there are three bedrooms, one bath, fully applianced kitchen with wood cabinetry and newer appliances. There is a bonus office or study off the master with it's own exit to a sweet yard. Very close proximity to the Johnson School and playground. Upgrades include Andersen windows and central air. Look no further! This South Salem home will satisfy all your needs with a large family room for relaxing or entertaining, beautiful and spacious updated kitchen with stainless appliances, island & granite countertops. 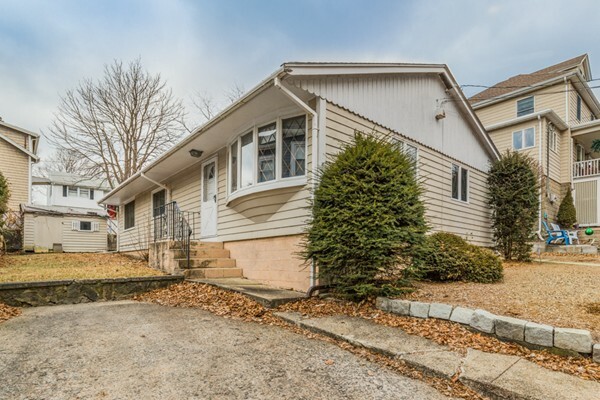 Exceptionally well maintained, this 3 bedroom, 1 bath property has great energy, lots of natural light and a one car garage under. Hardwood floors throughout, spa-like bath with double sinks and tiled shower. 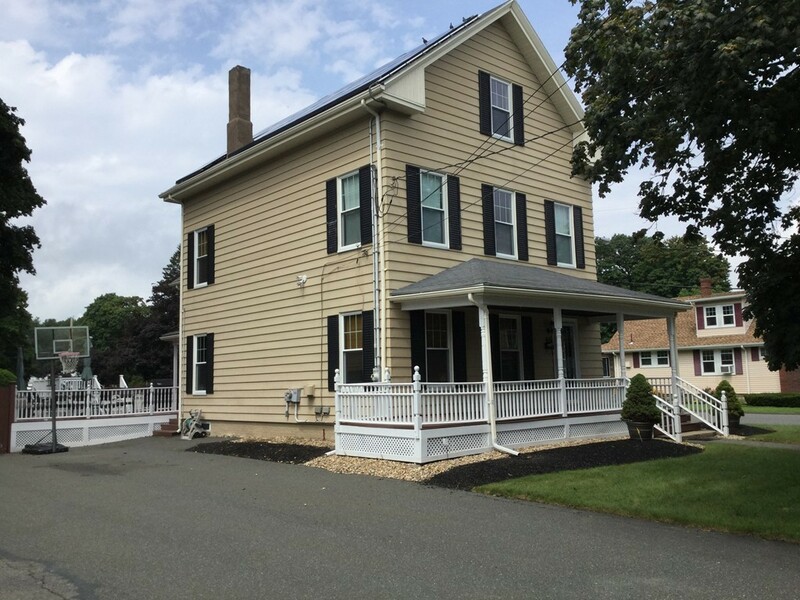 Energy efficient with solar panels, newer roof, windows, garage door, electrical & plumbing. A great place to call home!. This will not last. 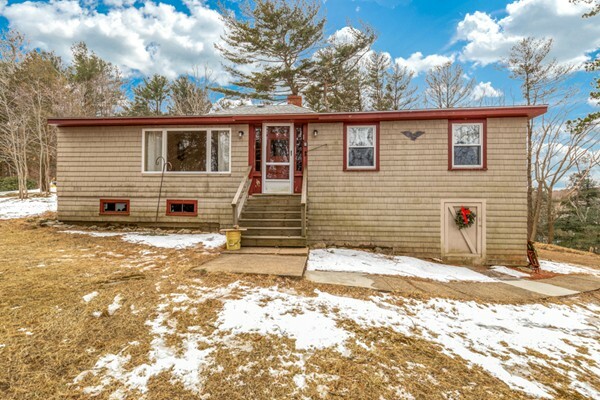 Charming three bedroom ranch located on quiet cul-de-sac. Easy one-level living, just a short walk to the beach and Phillips Park. Large, sunny eat-in kitchen overlooking private yard. Spacious living room with fireplace, hardwood floors and bay window. Relax on the three season porch overlooking private, fenced yard. Master bedroom has half bath and all bedrooms have hardwood floors. Family room with fireplace and plenty of storage and work space in the lower level. Attached garage. Easy maintenance exterior siding and roof and most windows are newer. 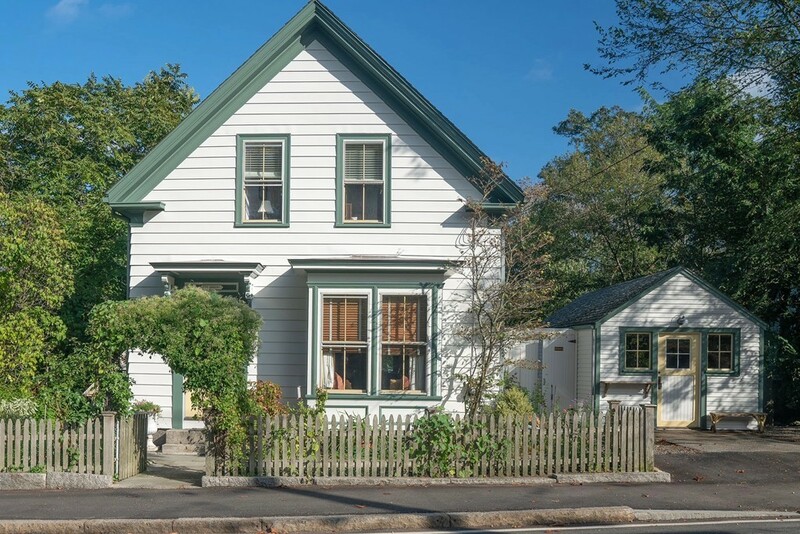 This home has been lovingly cared for by one family for many years. A great opportunity. 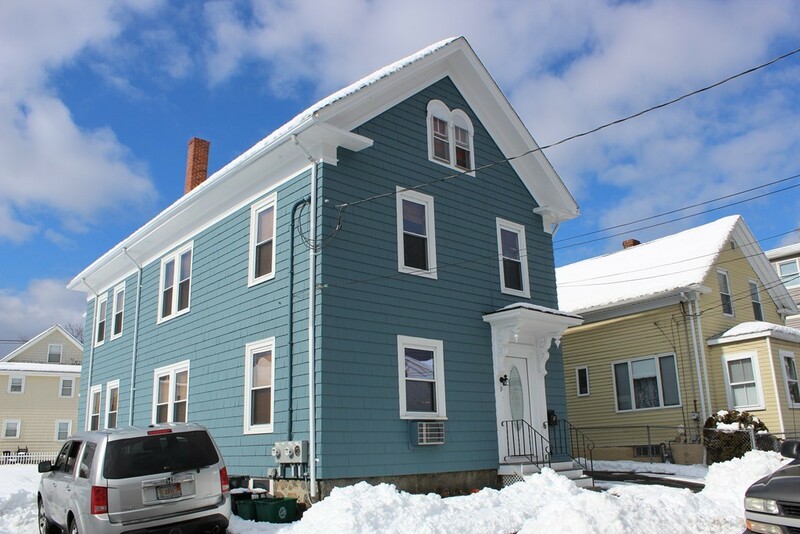 A lovely 3BR house looking for new owners to call it home. The spacious main living area has a kitchen, dining and living room on the first floor, all with gleaming floors throughout. Go up a level to the second floor to discover 3 fully-carpeted bedrooms and a full bath. 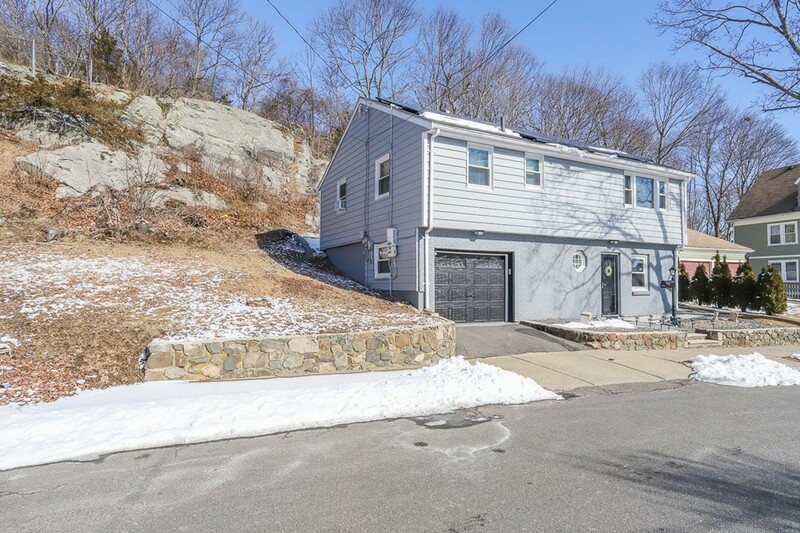 The finished basement has potential for a second unit already equipped with spaces for an intimate kitchen, living room, bedroom, bath and two separate entrances for privacy. This home has three decks, one on the front and two in the back that overlook a fenced in yard and above ground pool. 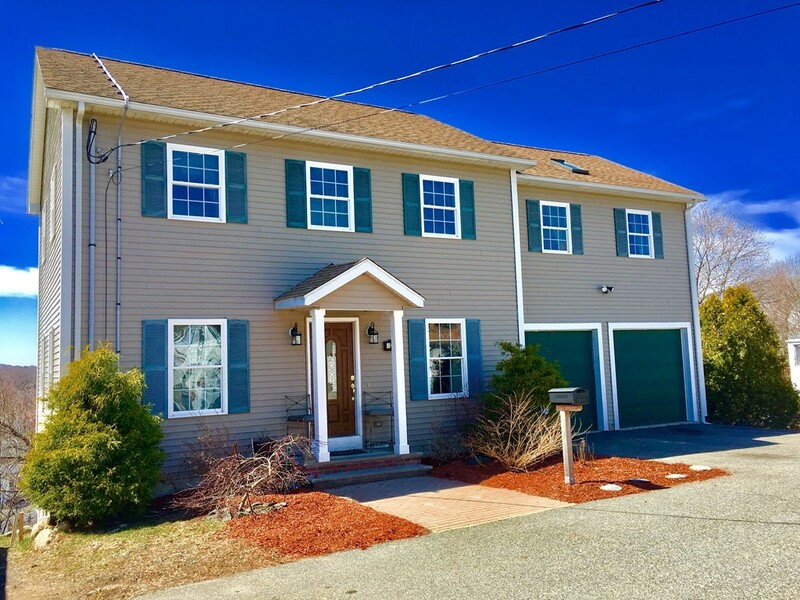 This home is perfect for the buyers looking to settle or stay in Gloucester in a comfortable home with an additional living space or to provide an additional income. 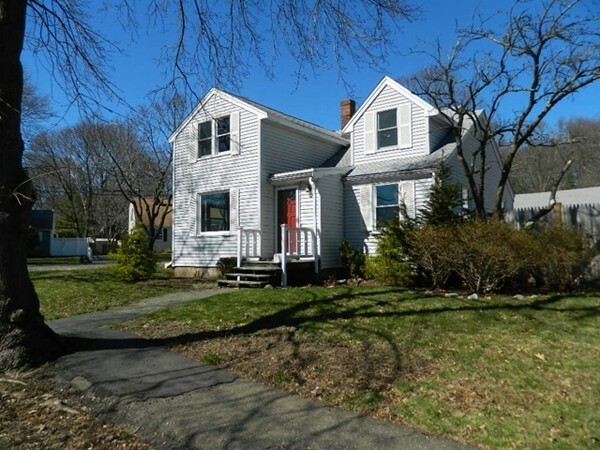 Well maintained colonial in desirable South Chelmsford - great schools and ideal commuter location! 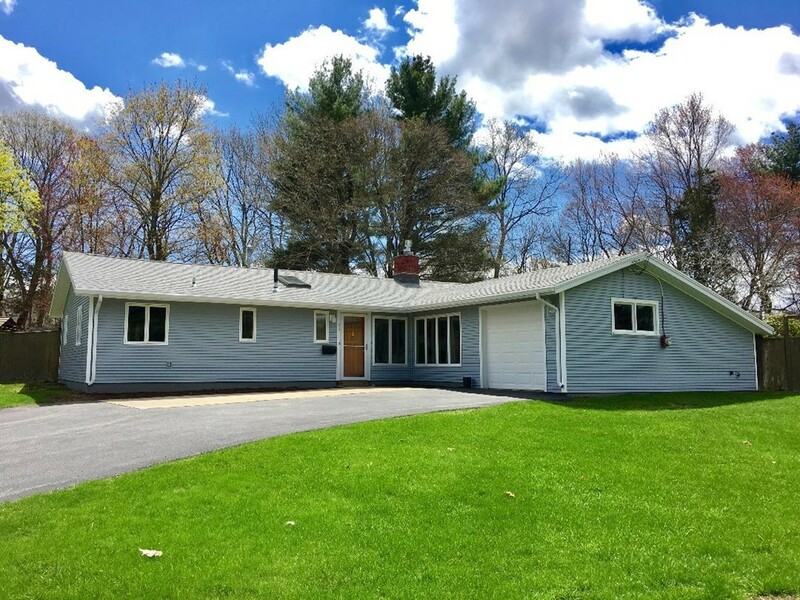 This home is move in ready with HW floors, updated kitchen & baths, newer roof (2013), and a large backyard that backs up to the woods to enjoy the outdoors. The main floor welcomes you with a tiled entryway, a living room (HW under newer StainMaster PetProtect carpet) with wood-burning fireplace leading to the dining room. The updated kitchen boasts granite counters and stainless-steel appliances. 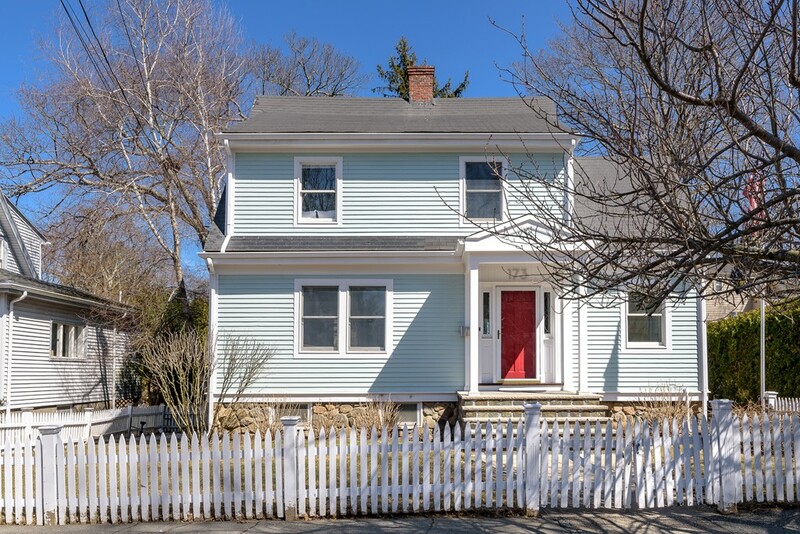 Newly refinished stairs lead to the second floor which has 3 spacious bedrooms with large closets and a recently updated full bath. The full basement with interior and bulkhead access is great for storage/workshop space, with new sump pumps ready for perimeter drain and potential to be easily finished. Two storage sheds provide ample additional storage. Beautiful level lot with fenced yard & space for addition & garage. 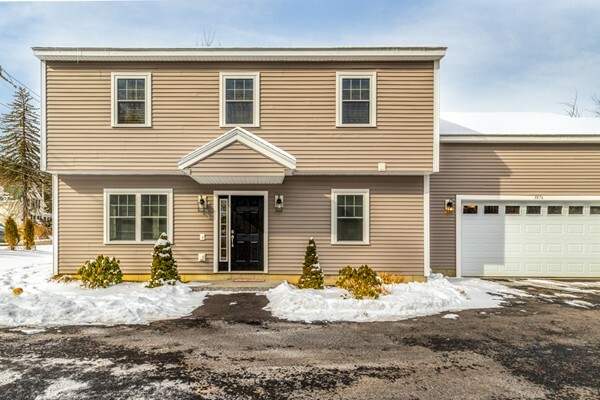 Enjoy privacy and nature, yet easy access to shopping, Rt 3 and Rt 4. 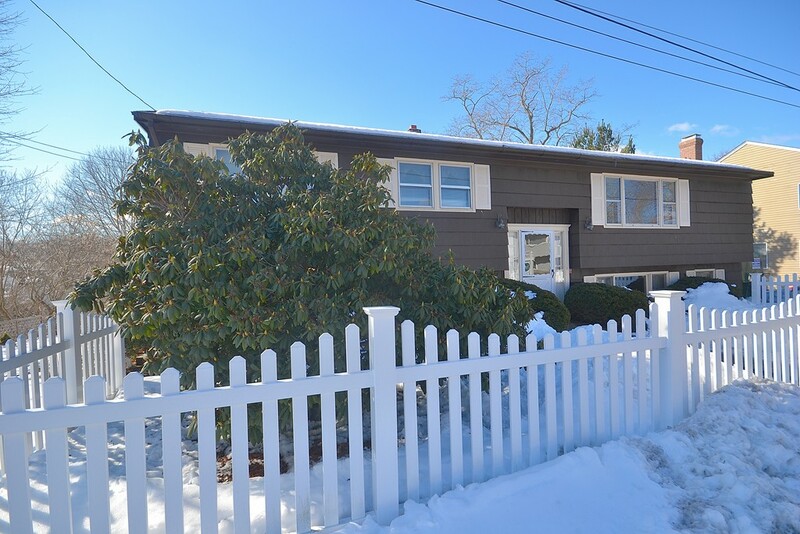 Well maintained, pride of ownership, 3 bedroom, 1.5 bath colonial, with beautiful wide pine floors and added bonus is detached 2-car garage with 2nd floor potential. 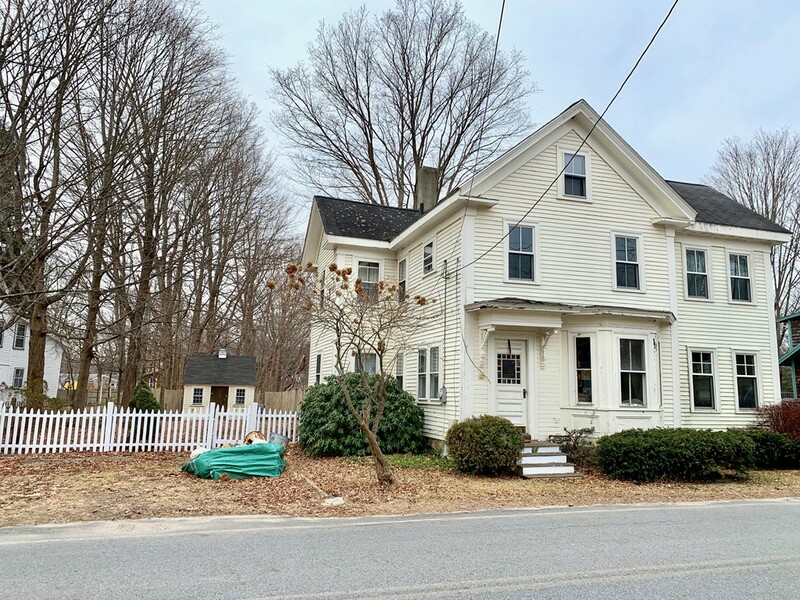 Home features large, eat-in kitchen with plenty of counter space, cabinets and extra pantry; heated sunroom with slider to patio overlooking flat, acre of land with exquisite plantings. Spacious, formal dining room with built-in china cabinet, comfortable living room and den with custom built-in cabinets. Combined half bath and laundry room round out 1st floor. Second floor master bedroom with walk in closet, 2 additional bedrooms and full bath. Full basement with new bulkhead and French drain. 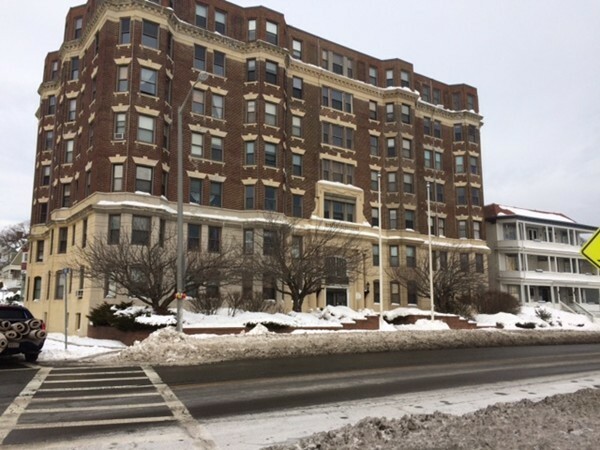 Ideally situated near Endicott Park, Highland School, major routes and shopping. This is a home you will not want to miss!! 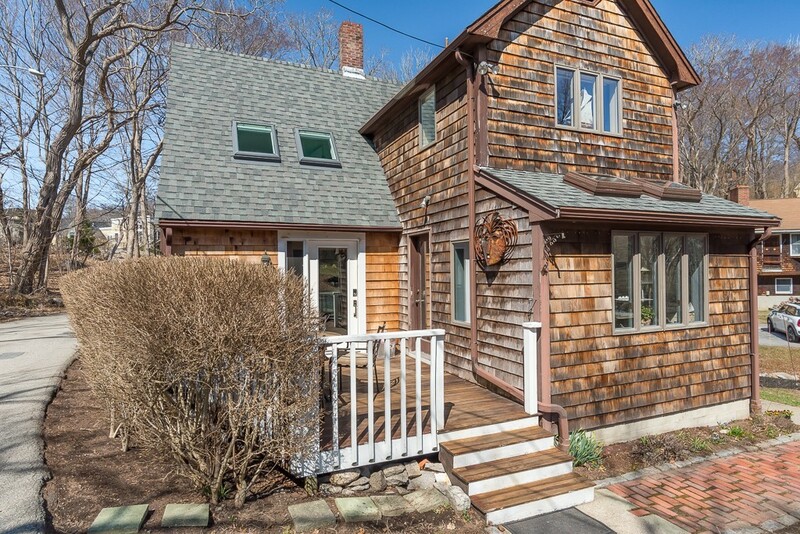 Wonderful Antique cottage with many updates tucked away on a quiet lane in Annisquam not far from the village and neighborhood beaches. The light filled kitchen accesses a deck and looks over the lovely yard. The warm and inviting main floor has a wonderful open floor plan with hardwood floors, large dining and living rooms, fireplace, laundry room, office and first floor master bedroom suite. Upstairs, you'll find two bright and sunny bedrooms and a bathroom with claw foot tub. This is a truly special home, not to be missed! 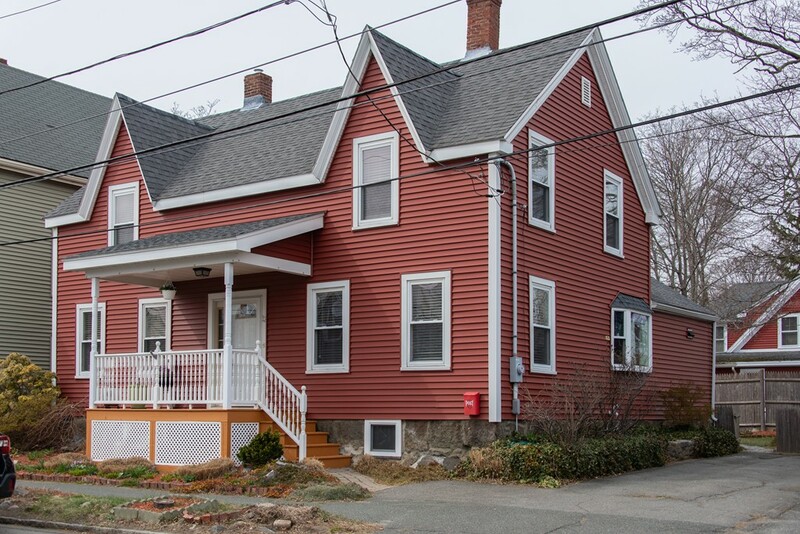 This appealing, updated 8 Room/4 Bedroom Pre Civil War 1840 Antique is located in-town, within easy walk to commuter rail, shops and beach. 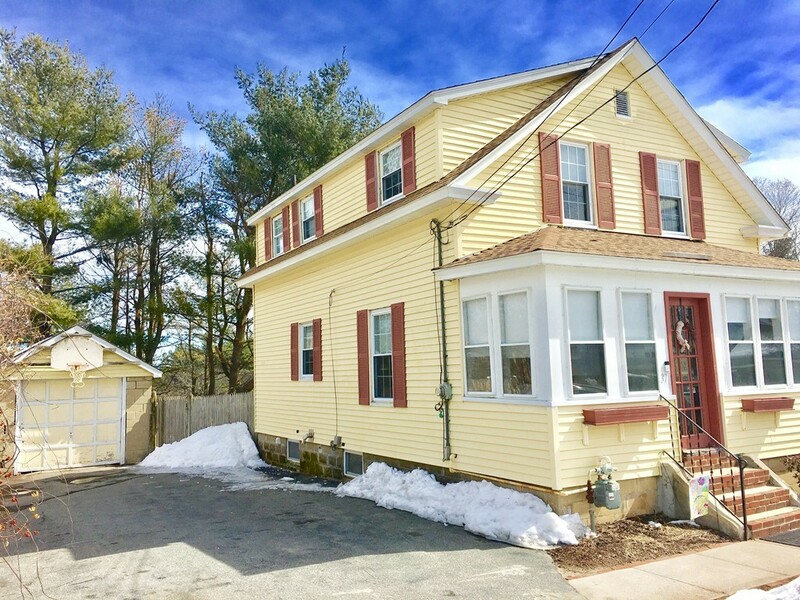 Substantial improvements since 2015 include a new well-designed, eat-in kitchen, new half bath, new gas heating, new hot water heater, new hardwood flooring and new rear entrance. 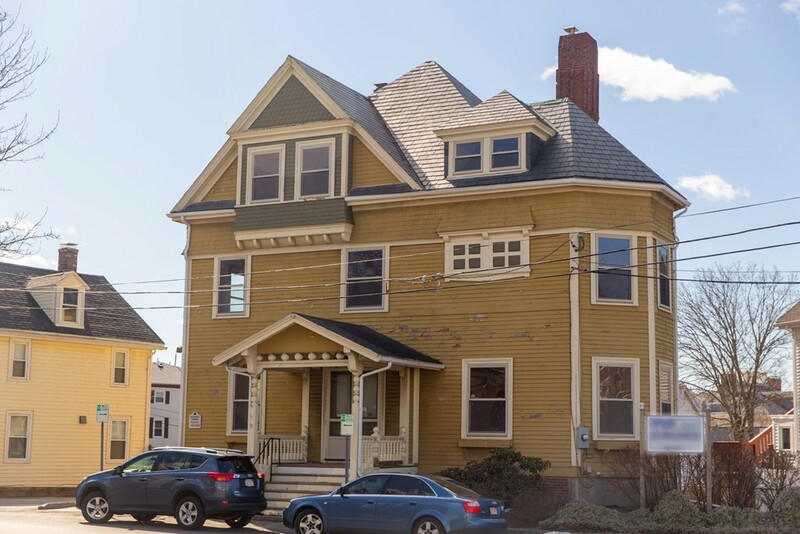 Even with all of these updates, this home retains its vintage charm throughout with its interior arches, woodwork details and well preserved hardwood floors. Living is easy in the first floor: inviting living & dining rooms, family room near the new kitchen and a half bathroom. On the second floor: king size master bedroom with walk in closet, three other bedrooms and full bathroom. Numerous established plantings enhance outside enjoyment from the front porch to the back yard which has a useful garden shed. Showings begin Friday April 12. 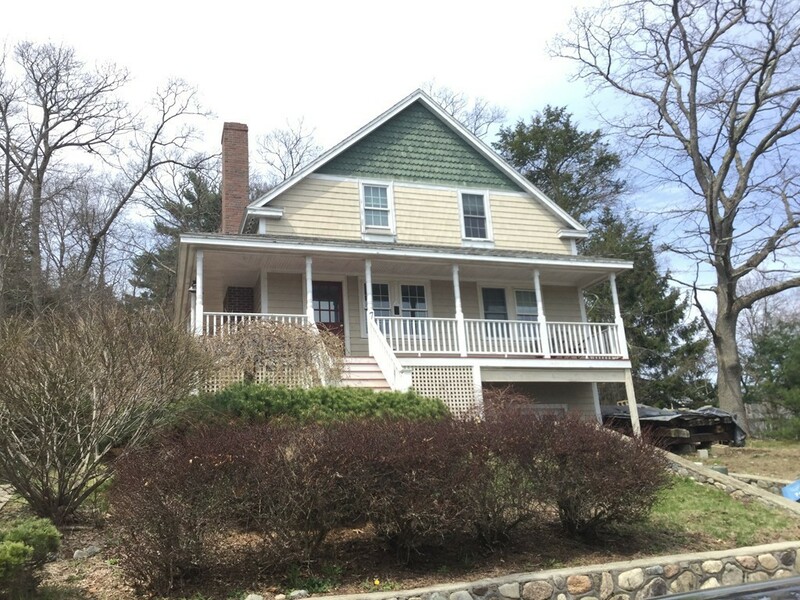 Open Sat and Sun 12-1:30 FIRST OFFER REVIEW Monday April 15 at 3pm. Please allow 24 hour response. 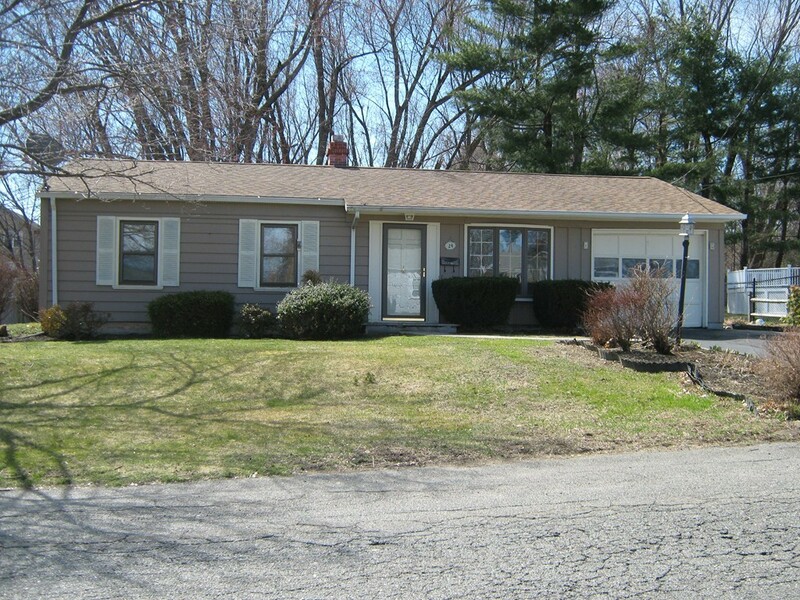 Renovated Centerville home! The open-concept design, natural light and warm hardwood floors create a bright & comfortable living space. The kitchen is crisp and clean with white cabinets, stainless appliances and long, gleaming stone counters. The center peninsula functions as a breakfast bar and adjoins a cozy wood-burning fireplace. The dining area opens to a large outdoor patio and scenic conservation land - a great place for morning coffee and birdwatching. Nice views from the master bedroom and its remodeled ensuite bath. 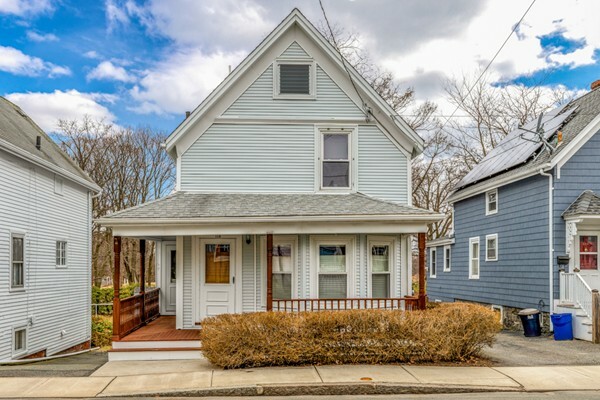 Discerning buyers will value the long list of recent improvements, including a newer architectural shingle roof, hardwood floors, remodeled kitchen & baths, vinyl siding, insulated doors & windows, a modern Burnham brand heating system and more! Enjoy a low-maintenance exterior, attached garage and no stairs! 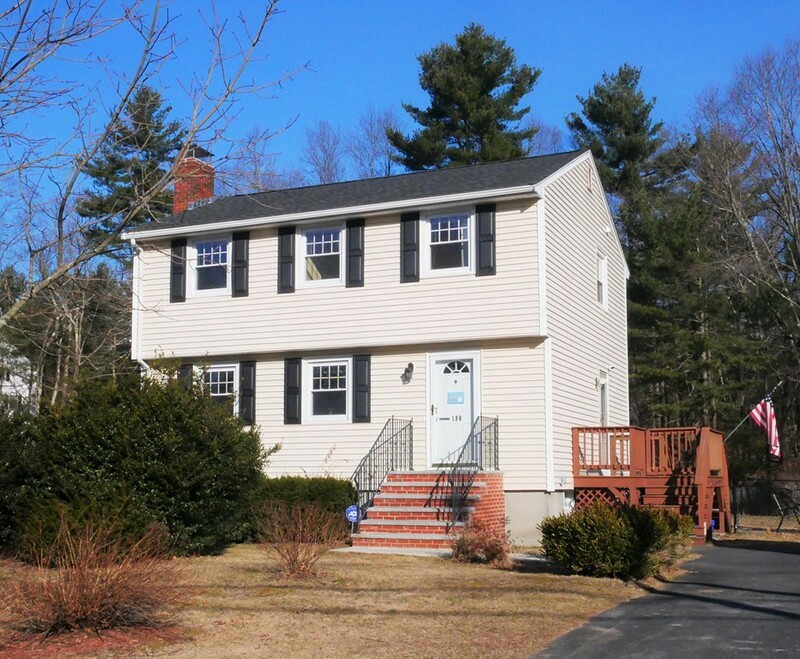 Easy access to the highway, schools, parks, walking trails and commuter rail. A nice home in a wonderful singe-family neighborhood. 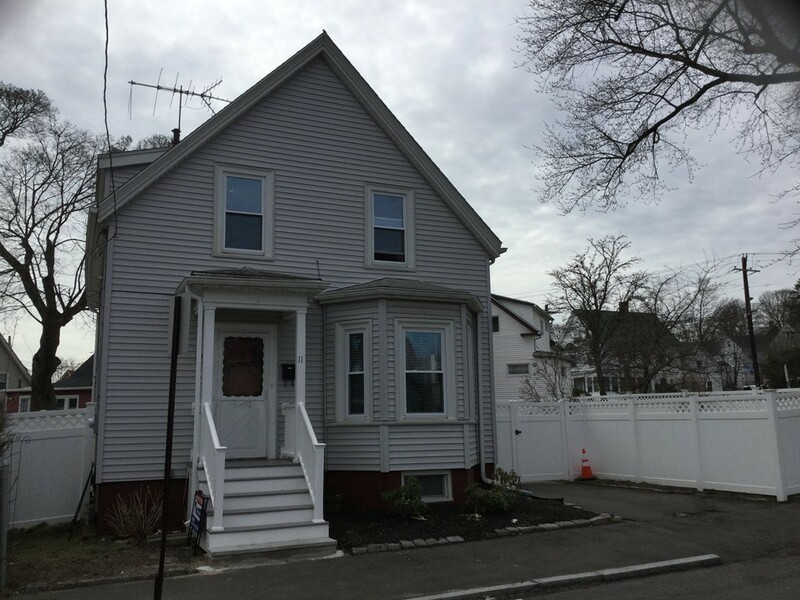 A charming Colonial style home that offers on the first floor, a spacious living room with a fire place, a formal dining room that has a built in china cabinet, an eat in kitchen plus an office. The second level has two large bedrooms with ample closets and a full bath, with the second bath being located on the lower level. A large level back yard, a one car detached garage, breezeway, sprinkler system and a 10x14 shed are some of the additional features. 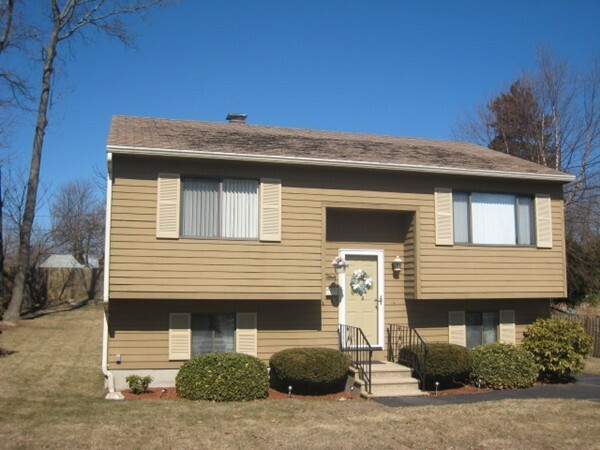 Conveniently located to the commuter rail, bus, Rt 93 &128, a vibrant town center and the Reading public library. 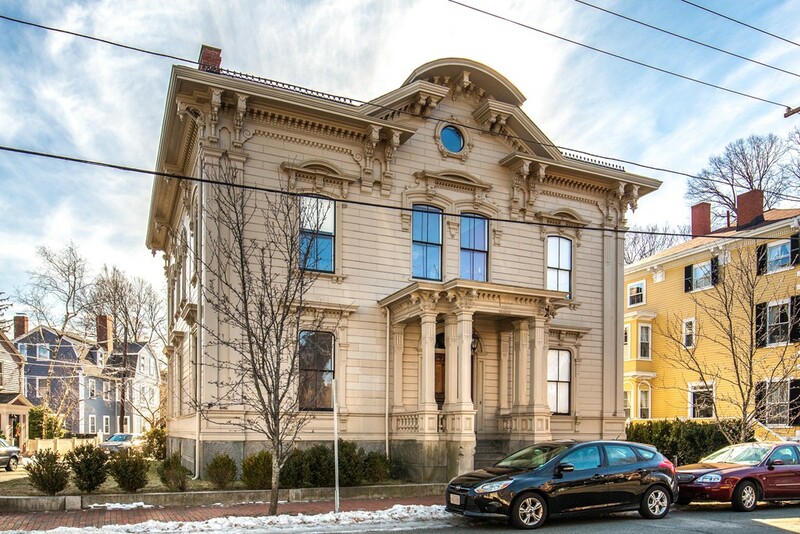 This beautiful Victorian dates back to 1885-1890 and it was first owned by Nathaniel Babson, a successful Gloucester merchant. It's easy to imagine how the early owners lived in this house. 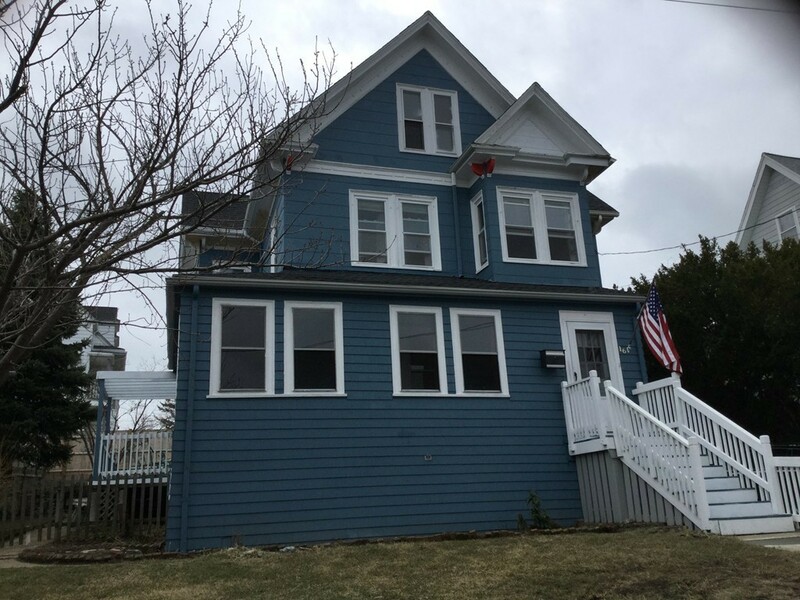 Three full floors with two graceful interior staircases and views out to Gloucester Harbor from the upper rooms. 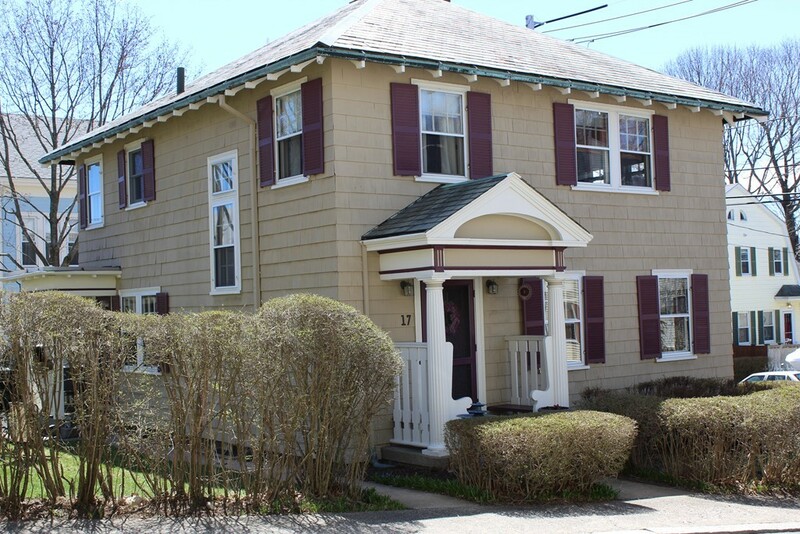 Used by the Visiting Nurses for over forty years, the property is a Gloucester icon. All three floors were used as offices by the VNA. Add a kitchen and some full baths, and this becomes a grand home. Do you have a thriving professional practice? With appropriate permits from the City, live and work in a building you'll be proud to own. Twelve rooms, seven potential bedrooms. Floor Plan available. Loads of living space and potential. Seasonal river views from the living room. 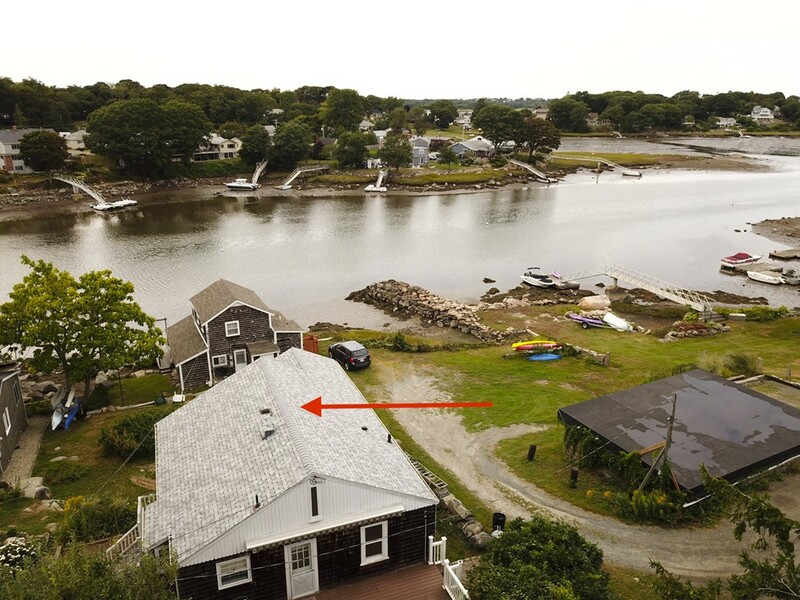 Great neighborhood with close proximity to the Annisquam river. A short distance to a small beach and boat launching ramp. There is a small park, skating pond and field near by. Close to Pole Hill where you can pick wild blueberry's in the summer. Home has had one owner and needs some updating. First floor has hardwood under the carpets . Kitchen has exposed hardwood flooring combined with tile flooring in the dinning area. Large living room and 3 bedrooms. 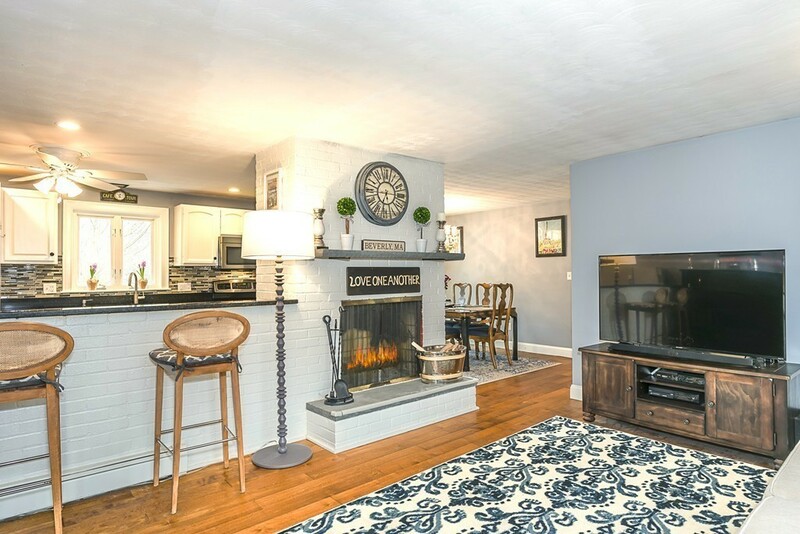 Lower level has large family room with Pellet stove, built-in bar and an additional bedroom, workshop and half bath (which was converted from a full-bath) with level walkout to back yard with patio and deck . Estate sale being sold As Is. Close anytime. 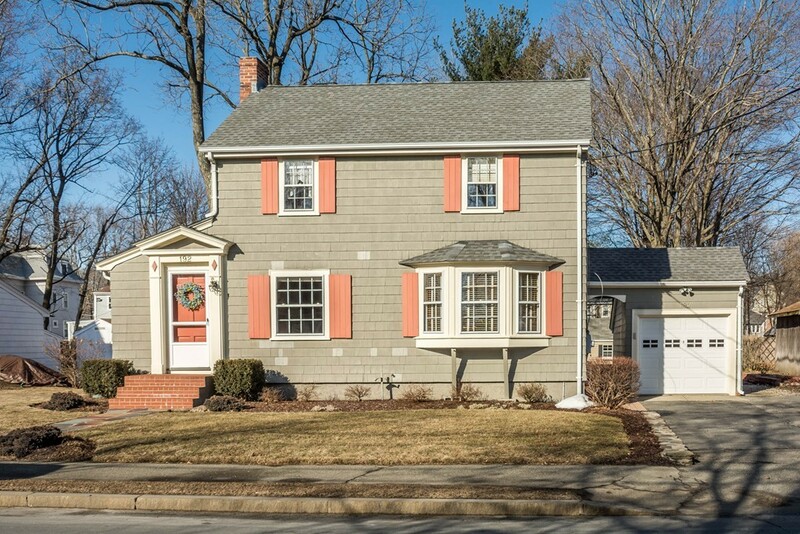 No showings till first open house Sunday 3/17 from 12:00 to 2:00 PM. 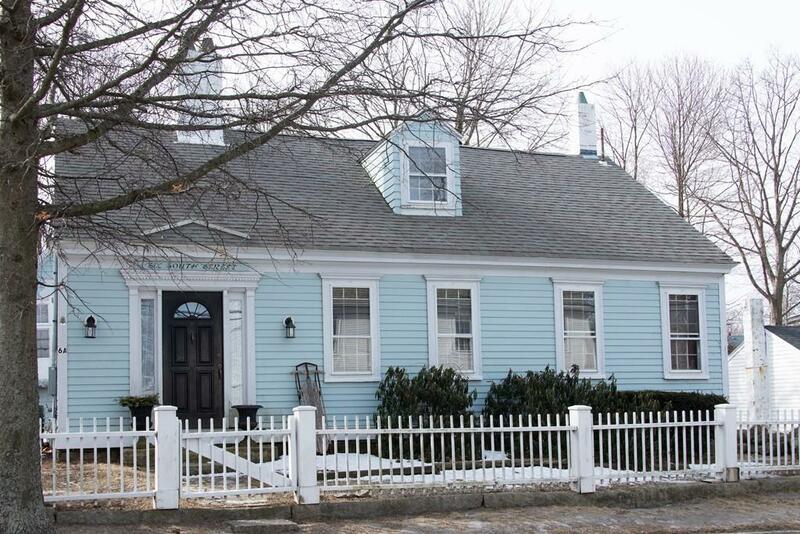 Charming 3BR, 3 bath New England Cape in picturesque Rockport. Upon entering the first level you will find a light and airy, open concept layout that includes living, dining and kitchen areas and master bedroom. A fireplace adds extra warmth in the living room with skylights above the dining area adding natural light to this cozy space. 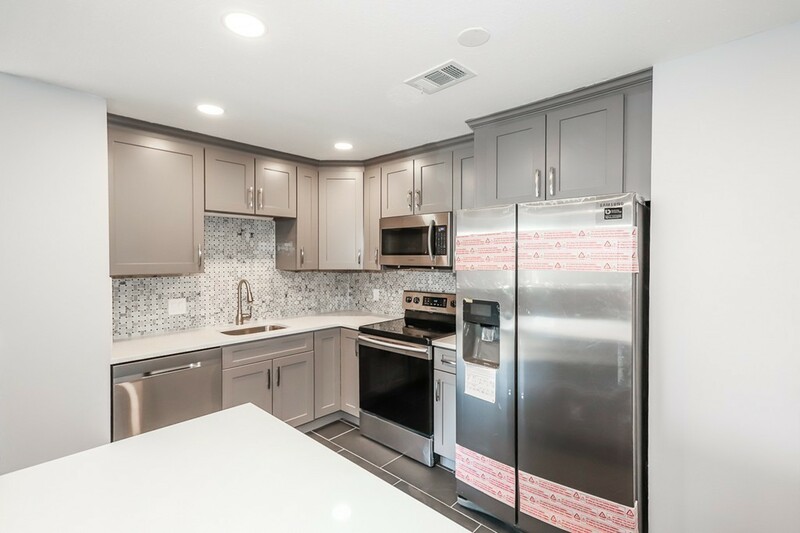 In the kitchen, you will discover a breakfast bar, range stove with granite counter tops, stainless steel appliances and a unique bead board ceiling. 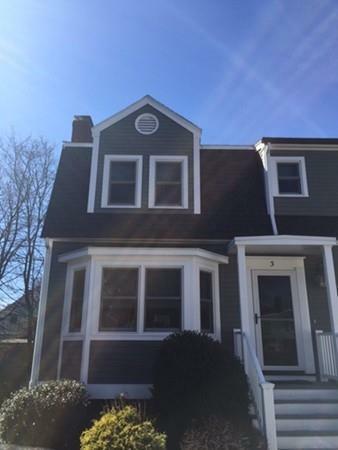 Head upstairs to discover two more bedrooms, complete with pine wood floors and a full bath. This property also includes a detached cottage studio with full bath. This space is ideal for potential in-law suite, guest house or additional living area to provide supplementary income. It includes off-street parking and patio that is perfect for entertaining in the warmer weather. 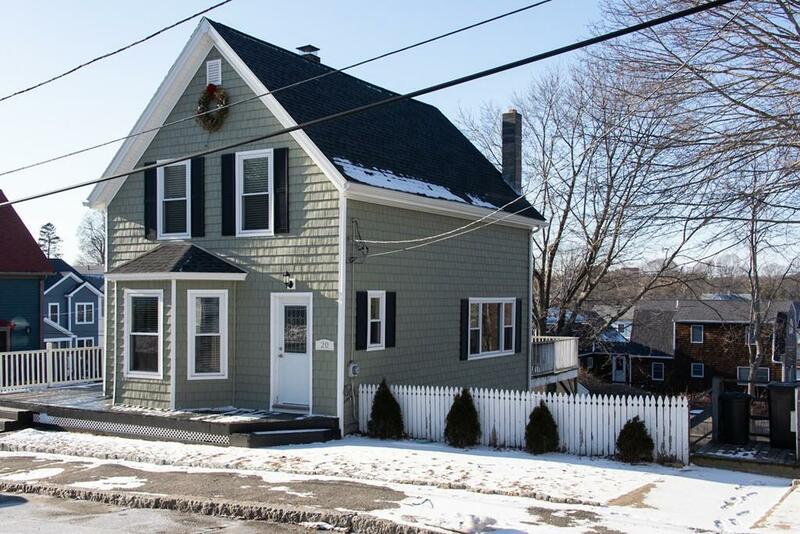 Within walking distance of historic downtown Rockport. This home has been loved and nurtured and offers everything you could possibly think of. And, if you want a studio, a separate space to work, meditate or create, there's a wonderful separate heated building where you might hide from everyday ho hums and have a quiet peaceful place to escape to.. Livingroom with gas fireplace, open kitchen and dining, a TV room, office and a floor plan that will suit your lifestyle. These owners added a sunroom that they use almost year round. You will gravitate to this space on a warm winter day with a good book or a place to catch up with Facebook. The artist owner installed a room in the basement once used as a darkroom. Laundry room on the bedroom level (where it should be),and master bath. And, guess what? A two car garage. No more scraping ice from the windshield in winter or ruining your clothes in the rain. This house defines the meaning of home and more. 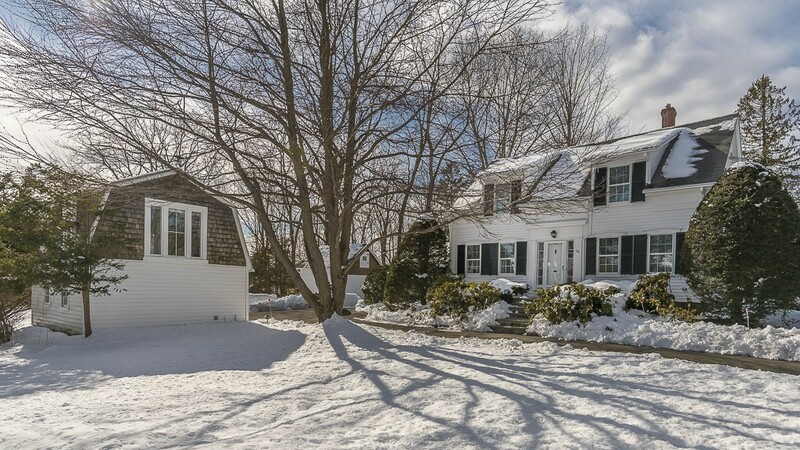 Elegant colonial in pristine condition. Enter the gracious foyer and you will notice the soaring ceilings and period detail. Entire Interior has just been professionally painted with today's neutral palette, beautifully updated shaker style maple kitchen with granite countertops, oversized formal dining room , living room with gas fireplace, hardwood floors throughout, 3 good sized bedrooms on 2nd floor with updated full bath, finished 3rd level with full bath was currently being used as 4th bedroom but could also be used as media room, man cave or teen suite, central air . Home sits on level corner lot with fenced in yard and above ground pool. Relax on oversized maintenance free composite deck, large driveway with parking for at least 9 cars. Pride of ownership shows throughout this beautiful home. Did you ever dream of owning your own home near the beach? Your dream has come true! As soon as you enter 173 Aspen Road, it is evident that no detail has been overlooked in this meticulously renovated and maintained home. The main level boasts a large living room with wood burning fireplace, completely renovated kitchen with quartz throughout, center island with stove/down draft, and an abundance of thoughtful storage spaces. Walls of the dining room were removed to create integrated kitchen/dining space. Both bathrooms have been completely transformed and beautifully updated with Toto toilets, floating sinks with storage, a rain shower head (2nd floor bath) and an illuminating mirror (1st floor bath). All 3 bedrooms boast built in cabinetry. 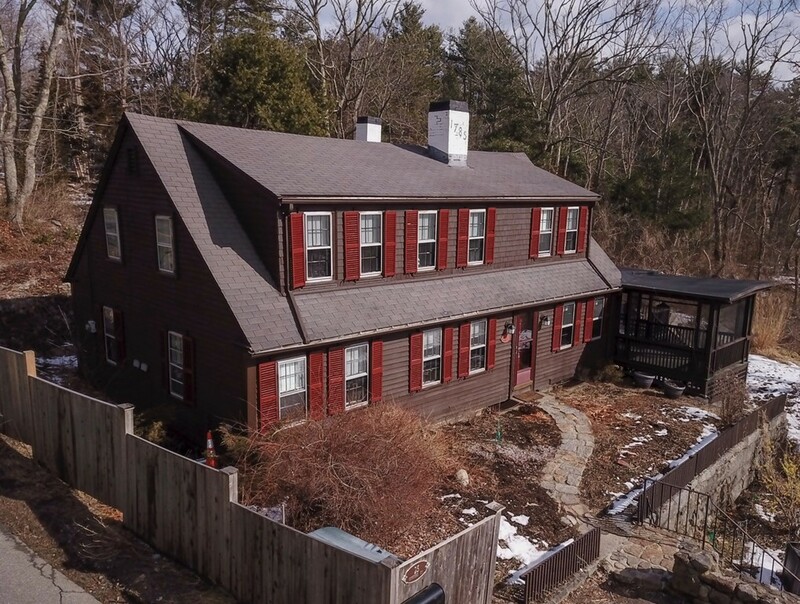 Step out of the back door to your private back yard oasis, complete with patio, beautiful mature trees that are illuminated by outdoor lighting, and outdoor fire pit to enjoy the beautiful New England evenings. Welcome home!